 Public Lab: Is using iodine a good way to determine if rice grains are real or are merely bits of plastic? 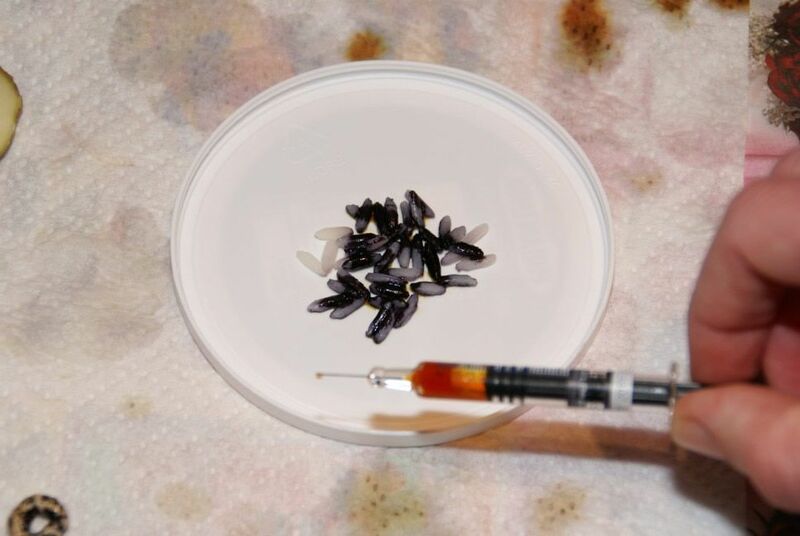 Question: Is using iodine a good way to determine if rice grains are real or are merely bits of plastic? I was asked by community members "how can i tell if rice grains are actually rice, or, as sometimes happens in parts of the world with less stringent food inspections, if the bag is full of rice-shaped bits of plastic?" It would be important to do the test also with plastic. Perhaps bio-plastics made from corn for example would also have the purple reaction. So my questions are, 1) what do you think of the iodine method? What's the easiest method for doing this? 2) can you think of any other methods for determining the authenticity of rice? For instance, what about burning the grains, or seeing if they float in water, or if there's enough time, seeing if cooked/boiled grains become moldy?